The liturgical and musical legacy of the Protestant Reformation is a complicated one. The separation from the Catholic communion and intentional revision of worship practices has certainly generated no small treasury of sacred music, from Martin Luther’s own tunes to Johann Sebastian Bach’s cantatas and oratorios to metrical psalmody and Wesleyan hymns and beyond. In America, our own inheritance from the Reformation includes Appalachian “shapenote” singing and Gospel. In terms of liturgical aesthetics, it is harder to know precisely what to say. It may be that the initial impulse was to return to a form of service order supposed to predate “Roman” accretions and excise the fragments of imperial ceremonial floating about, re-centering the assembly on catechesis; be that as it may, the radical separation from Rome’s historic living liturgical tradition — whatever its other issues — appears to have given rise to anti-liturgies that have had to reboot themselves and/or split away to form new non-rites every so often. 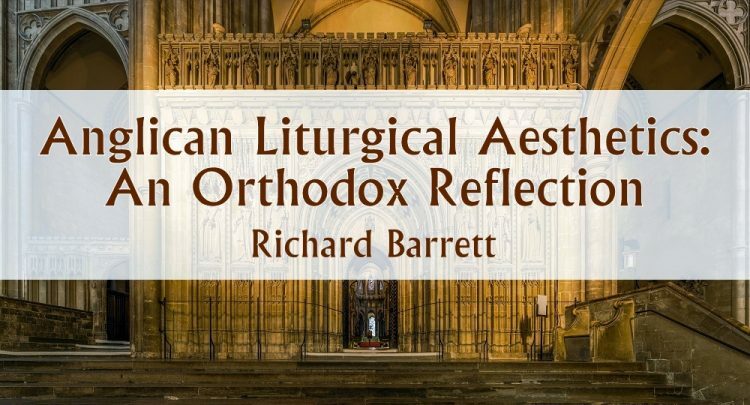 From an Orthodox perspective — this particular Orthodox perspective, anyway — perhaps the most obvious place to look in Protestant Christendom for liturgical aesthetics is the Anglican Communion. In general, it is tempting for some English-language Orthodox to see something of “what might have been” in the Anglican communion. (The affinity goes both ways, to be clear, as the UK-based Anglican-Orthodox ecumenical organization The Fellowship of Ss. Alban and Sergius demonstrates.) Here is a national church that stayed fully catholic while keeping central authority local, and that was willing to sever communion with Rome when the need arose (we will overlook the matter of Henry’s marriages for the time being). Specifically in terms of sheer ecclesiastical aesthetics, the Church of England is, according to this view, the crown jewel, as it were, of post-Reformation liturgy. Historic roots have been ostensibly maintained; an unbroken local tradition has flourished continuously without being suppressed by the papacy or the hostile takeover by an external enemy. The Anglicans have generally employed a high level of literary skill in producing their texts. A full liturgical life is preserved — if in a somewhat abbreviated form — with the offices of Mattins, Evensong, and Compline. Architectural and liturgical beauty, as well as dignity and attention to the details of royal ceremonial, have continued to be cultivated as values. When one argues for the propriety of the Antiochian Archdiocese’s adaptation of the Episcopal Church’s 1928 Book of Common Prayer into the Western Rite Divine Liturgy of St. Tikhon, one might suppose that these are among the many considerations at the fore; if one is looking for an idiomatically English liturgical experience of “we knew not if we were in heaven or on earth” as Prince Vladimir’s emissaries experienced in the tenth century, then the Anglicans appear to come very close. And, oh my goodness, then there is the music. The structure of the Anglican service allows for a variety of textures, from psalmody to congregational hymn singing to composed anthems, and there is a well-understood place for all of it. The Church of England was smart in allowing Thomas Tallis and William Byrd to remain Catholic while still pressing them into musical service, and this precedent has allowed the Anglican choral tradition enough flexibility to retain everything good about the entirety of its musical heritage over the centuries while also absorbing new forms and voices. Tallis, Byrd, Thomas Weelkes, John Taverner, Herbert Howells, C. V. Stanford, Charles Wood, and Elizabeth Poston are but a few of the master composers of the liturgical music of the Church of England. As befits an approach of musical universalism and syncretism, they are also free with their adoption of everything from Bach to Mozart, Gregorian chant to spirituals. As well, the educational system of choir schools has built and reinforced a tremendous standard of excellence. Anglicans have even been kind enough to lend their collective vocal artistry to Orthodox composers every so often; John Tavener’s choral works are frequently heard in Anglican services (most famously, probably, during the funeral of Princess Diana in 1997), and the Choir of King’s College Cambridge has recorded a number of Russian Orthodox works, including the Rachmaninoff All-Night Vigil. Other nods eastward include various settings of Phos hilaron (“Gladsome light”) for their use as an anthem (although it has never been included in the Ordinary of their evening service), and congregational hymns that various composers have adapted from verses of St. John of Damascus’ Paschal canon. Not only that, but Anglicans have largely continued a tradition of antiphonal choirs with their left and right choir stalls in the chancel, which should generate feelings of warm collegial longing in the stomachs of Orthodox musicians. Similar sentiments might arise at the realization that their pointed psalmody is not at all unlike the Russian repertory of “Kievan” or “Common” chant, and that even the metrical indices found in Anglican hymnals are a tool that could be easily adapted to help learn the model melodies of Byzantine chant. And, if the Anglicans have drifted too far into certain areas of theological and pastoral concern for the comfort of the Orthodox, one might nonetheless yet walk into a cavernous stone church like St. Thomas Fifth Avenue in New York, hear the choir of men and boys for Evensong, see the liturgical precision of the clergy with the attendant verger and thurifer, see the cards in the altar that show the amount of the budget line item for music, and feel somewhat wistful. Thus have I heard, at least. I must here acknowledge my own status as a former Anglican communicant — although at this point, my time in Constantinople has long outstripped my stay in Canterbury. For various reasons, I am going to limit my observations to liturgical and musical matters, and I am not going to discuss the various controversies that are attached to the present-day Anglican Communion; I will leave those issues to people qualified to talk about them. It is true that there is much to love about Anglican dedication to liturgical and musical beauty. There is also, however, reason for caution. English liturgy has its own history that makes its romanticization problematic; The Stripping of the Altars, Eamon Duffy’s account of English Catholicism at the time of the Reformation, makes a compelling case that the transition to an independent Church of England represented a tremendous rupture, and Cranmer’s Book of Common Prayer must be understood as part of that rupture as much as the dissolution of the monasteries. For example — as beautiful of a service as an Anglican Choral Evensong might be, its structure is ultimately reductive, compressing the Roman form of Vespers and Compline into a single service by getting rid of hymnographic elements such as responsories and antiphons. The emphasis on psalmody and Scriptural lessons is, of course, not a bad thing in and of itself; again, a sympathetic Orthodox view of these services might be inclined to adduce the services of the Royal Hours or the Passion Service of Holy Thursday evening as parallels within the Byzantine rite with regard to the readings, and certainly there is a discussion to be had about the tendency to abbreviate or eliminate the chanting of psalms in some Orthodox churches. Still, the understanding of liturgy’s general function as being principally didactic ultimately has more to do with the specific historical concerns of the Reformation than any kind of return to an earlier understanding of Christian worship as witnessed to by Ss. Ignatius of Antioch or Justin Martyr. All of that being said, on a personal level, having spent my childhood and most of my teenage years in a non-liturgical, non-sacramental church tradition with no historical roots going back farther than a couple of decades, I continue to be grateful for my time in the Anglican Communion. I am a committed Orthodox Christian, but I would not understand the importance of issues such as liturgical beauty and sacramental worship without the context of my Anglican experience. To that end, setting thorny theological and pastoral issues aside: I am not, to be clear, advocating a syncretism of content. On that point, I have decidedly mixed feelings about Western Rite Orthodoxy, I think liturgical language is largely a red herring, and I think that it probably is a mistake to adapt Appalachian folk singing for Anglophone Orthodox liturgical use. I firmly believe that Orthodox Christians need to cultivate, maintain, and pass along our own rich liturgical and musical practices; at the same time, I also believe that what we might think of as “Anglican best practice” is a model of flexibility, inclusion, education, and excellence with respect to worship that at least suggests an ethos from which Orthodox might well learn. Concretely, when I think of models of encouraging, training, and employing future generations of our church musicians, the Anglicans are hands down the example to follow. (To this end, I have written elsewhere about my advocacy of the choir school model in Orthodox practice, and I continue to advocate it.) Every time I chant the Royal Hours service for Christmas, a service where there might be no more than five people including myself and the priest, I wonder how well it might be attended if we were to treat it as a noteworthy special occasion, an opportunity to throw open the doors and invite the world to celebrate the Nativity of Christ with us, the way the Anglicans approach their Lessons and Carols service. When I see the left and right choir stalls in the chancel of an Anglican church, I start to imagine how one might incorporate them into the design of the solea of an Orthodox church in a manner that would accommodate the needs of cantors and choirs. When the question comes up of how to integrate multiple, polyglossic systems of music into a single service that is respectful of each idiom represented, it must be acknowledged that the Anglican liturgy has figured out how to do exactly this in a manner that incorporates them all into a seamless whole. 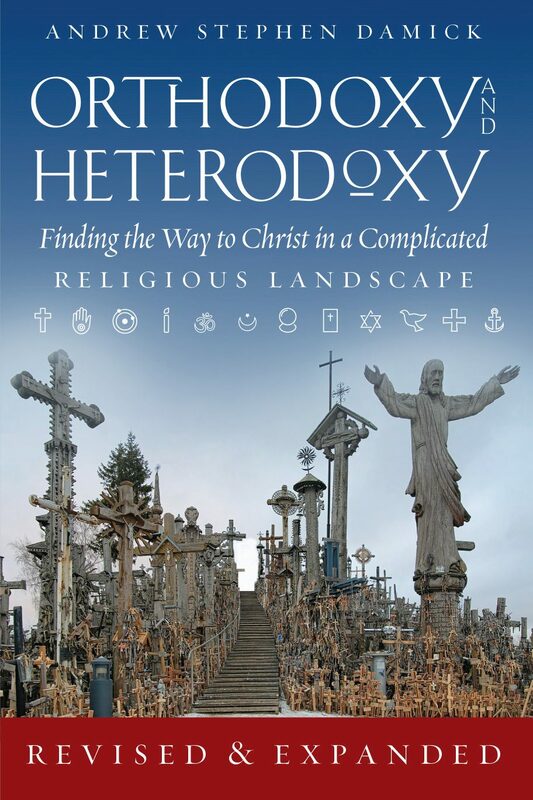 While a “grass is greener” mindset is not helpful for anybody with respect to liturgy, and neither is it in the interest of Orthodox Christians to be trying to keep up with the ecclesiastical Joneses, these are issues that the Orthodox churches in the Western mission fields are wrestling with, and the Anglican approach might offer some constructive solutions. In this way, we might synthesize of the Church of England’s detailed approach with the chaotic reality on the ground of Orthodoxy in North America and other mission lands. While arguably all forms of English-language Christianity are products of the Reformation in one way or the other, perhaps this synthesis of Anglican manner of application with Orthodox ceremonial and musical content would be a legacy of post-Reformation English Christianity within Orthodoxy that would truly be lasting and beneficial. 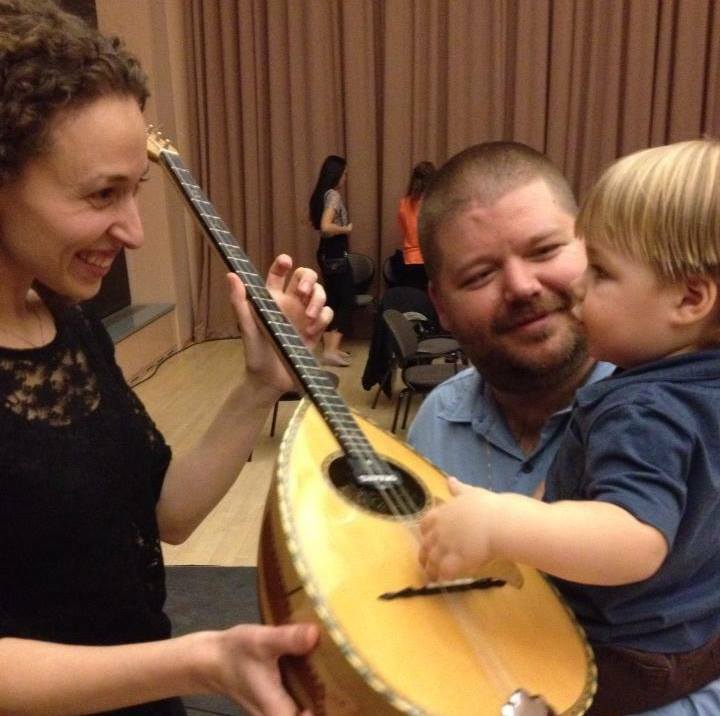 Richard Barrett is the Artistic Director of The Saint John of Damascus Society, a non-profit (501(c)3) arts organization with the mission of “revealing Orthodox Christianity through its sacred music.” You can also find him on his personal blog. Interestingly, I just returned from a 3 day stay at St. Laurence Orthodox Benedictine Western Rite Monastery (Antiochian Archdiocese) in the Colorado Rockies. Yes, it was very different from my regular worship experience in the Orthodox Church but nothing was missing in the bones of what I’m used to in the Liturgy. St. Benedict was born in 480 and was the founder of Western Christian Monasticism. I think that our preference or comfort needs to be shaken sometimes. I wonder what the Orthodoxy of my ancestors in Ireland and Scotland was like before the Church I Love was abolished. The Phos Hilaron is in the ordinary of the Episcopal Church’s 1979 Book of Common Prayer Evening Prayer liturgy, preceding the Psalms. It is optional, but it remains the only text specifically called for to fill that spot, and it is an innovation of that prayer book. Thanks. I see what you mean — on p. 64 of my copy of the ’79 BCP, the rubric is: “The following, or some other suitable hymn, or an Invitatory Psalm, may be sung or said:” To me that’s a bit different than how the Mag or the Nunc are treated indisputably as part of the Ordinary. But I see your point — I appreciate it! Hi Richard! Good article. I presented a similar idea to the Clergy/Laity a few years ago at Hellenic College…the National Forum group. I designed the Royal School of Church Music approach for the Orthodox Church…for kids choirs and adult choirs. We could use the RSC approach to train children how to be proper choir members…adults can also use this approach. Several people came up to me afterwards and told me they liked this idea. I used the RSC study guide and just substituted Orthodox prayers and some other ideas as rewards. But the National Forum would have to promote that…I think it should be on the national level and not the local level. The Anglican Church does have the best approach to music. I work for them as you know. I think it’s a conversation worth having, certainly! I whole heartedly agree to the form of Anglican Worship being moving and it is an echo of England’s Orthodox past. The Choir stalls, the Rood Screens and the high alter are all reminders of what once was. Yes, their singing is also moving BUT… Look carefully at the words and the theological concepts they put forth in song and in prayer. They are the result of the resolution of the English Civil war and the Via Media, or how to keep Puritans and Catholics in the pews without bloodshed. The wording I have read in the Anglican Missal is in passive voice and non specific. It declares no great truths and tends to try to side step issues that would cause a Puritan or a Catholic to object. The form is not the issue, but the content is. As a Protestant Seminarian, I sang many a great Charles Wesley hymn and they are stirring, but in the words on finds many of the concepts of the Reformation that are at odds with Apostolic teaching. The BCP was blessed for use UNTIL it could be theologically reviewed by Orthodox clergy and corrected in content. That never happened because of the effects of the October Revolution. I have a copy of the Rule of Saint Benedict. In it it has the structure of their hours of prayer and the structure is most Orthodox and also Western. The problem is that the structure is only the outline and does not have the prayers and hymns that were sung. It does list the Psalms and yes, they were sung as in the Eastern Monastic Order. It would be a lifetime of work for an Orthodox Scholar or more rightly a group of scholars to correct the wording of the current Anglican worship and eliminate the Heterodox influences. Agreed wholeheartedly! This is why I said I was talking about the ethos, the approach, and not the content, and it is also part of my ambivalence towards the Western Rite. Mine too. I served in the WR for several years and loved the form ….. but had reservations about the content. There is something deeply touching about the form, especially things like Rood Screens and choir stalls and the wonderful acoustics of a great stone church. Oh, to find an extant copy of a Liturgy that the Venerable Bede would know and love. Maybe, by God’s Grace, one will be found and we will have form and substance united. Sadly, the Anglican Rite is only a faint echo of that glory. I’m the rector of a Western Rite parish in ROCOR. I get the impression (perhaps mistakenly) that you think that all Western Rite parishes use the Liturgy of St. Tikhon (or the English Liturgy, as we call it.) most Western Rite parishes use the Roman Liturgy (or the Liturgy of St. Gregory, as it is also known.) Bonnie commented that she would like to see the ancient Liturgy of England and Scotland. She can see it in the Roman Liturgy, which was a fully Orthodox Liturgy for 1000 years, and is now a piece of Orthodox Tradition that has been returned to us. Not at all; I’m well aware of the Liturgy of St. Gregory. There’s also the Knott Missal (M, which Fr. Peter Jacobsen of blessed memory showed me once to explain how he celebrated his Western Rite liturgies. It doesn’t really change much about what I say about the Liturgy of St. Tikhon, and as much as I love me a Tridentine High Mass, I remain ambivalent about the Western Rite in general. Not that my ambivalence was the point of my article, nor that what I would say about the Western Rite would carry any particular weight with anybody. A parenthetical managed to get messed up: “There’s also the Knott Missal (Missale Anglicanum),…” was what that was supposed to say. Apologies.